Italian giants make official offer to sign unsettled Belgian. Juventus have an official bid of £32.5m for Adnan Januzaj on the table for Manchester United to mull over before the January transfer window, with the player thought to be keen to move. FIFA 2015 Player Ratings Revealed. The Belgian international has not featured regularly under Louis van Gaal this season, despite establishing himself as a key player in the United first-team under David Moyes last season, whilst also showing himself to be one of the most exciting and highly-rated young players in Europe. The 19-year-old has attracted strong attention from top clubs in the past, with the likes of Paris Saint-Germain and Real Madrid thought to have looked at him, though Juventus are now ready to step up their interest. It was reported last week that the Serie A champions were set to try their luck with a loan bid for Januzaj, but this was swiftly rejected by the Red Devils, who are only willing to negotiate a permanent transfer for the teenage sensation. 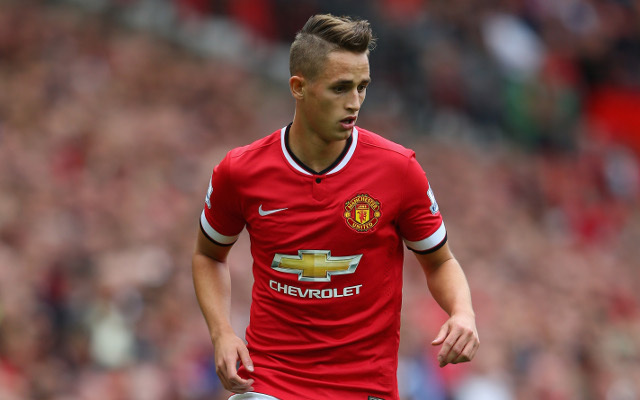 It has now emerged that they could be willing to accept bids in the region of £35-40m, though Juve will try a slightly lower bid to start with as they know Januzaj is unsettled after falling out of favour under new manager Louis van Gaal. United need to bring in some money after spending so heavily over the summer on big names such as Angel Di Maria, Radamel Falcao, Ander Herrera and Luke Shaw, and the increased numbers in midfield mean Januzaj may no longer be needed. Instead, United are known to be desperate to sign players to improve their defence, though top targets such as Borussia Dortmund centre-back Mats Hummels will not come cheap, while more defensive-minded midfielders such as Kevin Strootman and William Carvalho are also on the agenda to help improve the side’s dreadful defensive record. Juve may still need to pay up more for Januzaj, as well as installing a likely buy-back clause in his contract, with United aware of his immense potential and cautious after they lost French midfielder Paul Pogba to the same club back in 2012.